Digital infrastructure provider, Tata Communications, has upgraded its Sponsorship of SVG Europe to Platinum. The company stated it is looking forward to increasing its profile in Europe through its new commitment to the association. Bijaya Basu, global head of sponsorships and media business marketing at Tata Communications, commented: “Tata Communications is pleased to not only renew our sponsorship with SVG Europe, but to deepen our engagement by becoming a Platinum Sponsor. “We have collaborated with SVG both in Europe and the US and find the events and networking opportunities that this association provides, alongside our relationships with the SVG editorial teams, beneficial for our media and entertainment business. “Through our new Platinum Sponsorship, we look forward to increasing our profile amongst media and entertainment decision makers across Europe,” added Basu. Tata Communications is the official supplier for Word Rally Championship (WRC). In a multi-year roadmap for the partnership signed at the end of 2018, Tata supports WRC in bringing multiple feeds from the TV compound to a remote production centre in London where WRC’s editorial crews work on post production packages. Tata also delivers feeds to broadcasters; one world feed; one unilateral feed; one helicopter feed; one on-board feed; and the WRC+ All Live clean and dirty feeds. 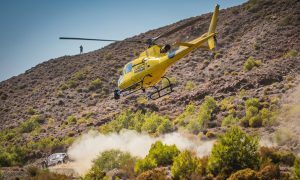 Tata provides its Video Connect network solution to WRC, connecting some of the most challenging and remote locations of the rallies for live video delivery. This is enabled by connectivity on Tata’s next generation fibre-based network into the Tata video cloud; content is then distributed from the cloud to the rights holding broadcasters. Also, with this solution WRC+ All Live is going out to six broadcasters this season.